We had 100% success on our last 8 Kilimanjaro climbs and great success on our Himalayan treks and climbs post Earthquake. We have helped raise over$32,500 for the remote village of Goli in Nepal. Their first project is under way. A new school will be built very soon. FIND OUT MORE. READ SOME BLOGSfrom our recent trips. CLICK HERE for up coming treks and climbs. E-mail ian@iantaylortrekking.com for further information. CLIMB MERA PEAK:Ian will be leading our October 2016 Mera peak climb and we have 6 spaces left open for this amazing on this climb. E-mailinfo@iantaylortrekking.com for more info. CLIMB MT. ELBRUS:Ian will be leading our August 2016 climb on Mt. Elbrus. Europe’s highest peak is one of those coveted 7 summits. E-mailinfo@iantaylortrekking.com for more info. 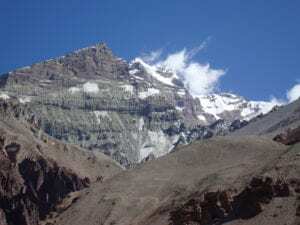 CLIMB ISLAND PEAK:Ian will be leading our Sept/Oct 2016 climb on Island peak. Standing at 20,305ft is one of life changing moments. E-mailinfo@iantaylortrekking.com for more info. If you would like to schedule a call with Ian on skype: ian10035 drop us an E-mailinfo@iantaylortrekking.com and get the right information for your up coming Adventure. Do let us know if you would like any specific information about any of the trips we run. If you would like further information about any of our treks, adventures and climbs feel free to call, e-mail or skype us at any stage. We look forward to working with you and helping you achieve your goals in the world’s mountain ranges. We offer you a personalized service. Once you sign up you have access to our highly experienced staff 5 days a week. We have hundreds of expeditions under our belt and well equipped to help you achieve your summit.